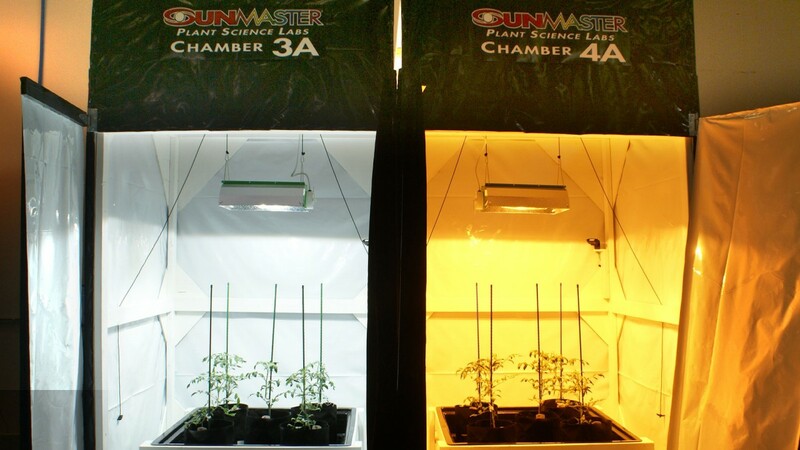 SUNMASTER IS GROWING . . . . LITERALLY! 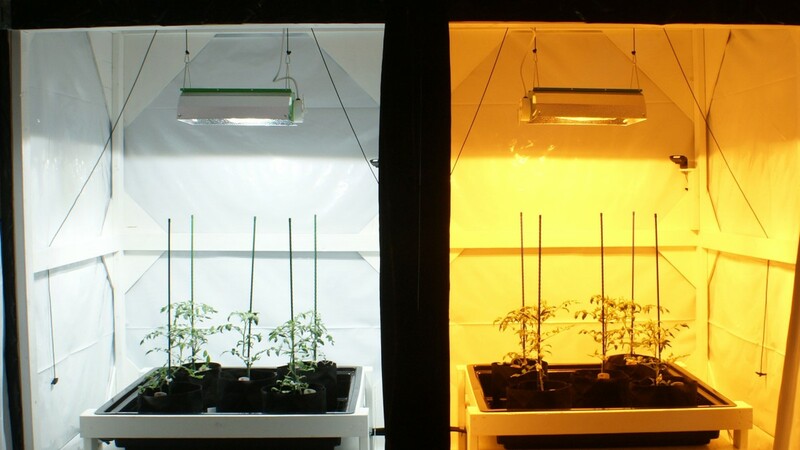 While measuring the spectral output of lamps and fixtures allows us to fairly accurately gauge the performance of lamps and lighting systems, nothing beats real life testing! 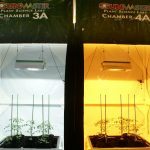 In an effort to better understand the spectral and total µmol output effect on various plants as well as their growth stages, Sunmaster recently installed a group of hydroponic growth chambers within its Ohio engineering facility. 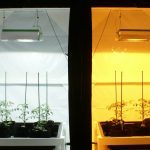 Our first test, initiated in mid-July, is studying the effect of various light sources on the flowering period of tomato plants. 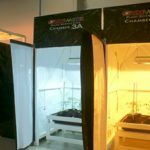 Sunmaster’s 1000W FULL NOVA (full spectrum) as well as Sunmaster’s new 1000W Super HO HPS (red weighted spectrum) are included in the test. 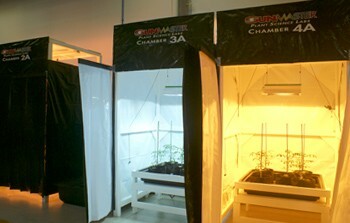 All other variables are being held constant, including ballast power, nutrients, photoperiod and water timing/levels. Stay tuned this fall as we post results to our web site and YouTube!